Looking for a dance class that really pops? Originating in the Dominican Republic, Bachata features an enthralling combination of hip motions and embellishments, giving texture to a ballroom style that relies on subtle pushing and pulling contact between partners, with both open and closed positions. This class provides a lively, collaborative environment to pick up the basics of this staple of Latin dance clubs, taught to you by an engaging and knowledgeable dance instructor. 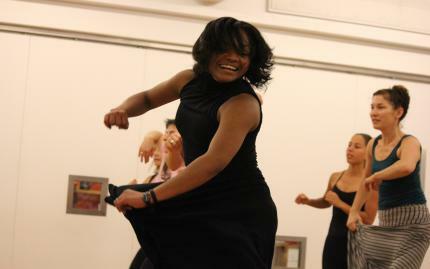 It's also a great way to get in a little exercise, as dancing has been shown to have numerous health benefits. Turn up the heat in your life by joining the hip crowd! Note: This class is designed for couples. Be sure and wear clothing that you can move around comfortably in.